We offer a unique selection of live, interactive event enhancements to go along with any and every event theme. Whether you want oversized games, a living topiary, or an attendee generated mosaic or mural, our interactive products are perfect for your next event! Want to Request Entertainment for Your Next Event? Submit Your RFP Now. Guests are thrilled when served a glass of sparkling champagne in such a distinctive way. The mobile Champagne Dress model walks around the event interacting and serving guests or can be placed strategically to manage crowd flow. Can be used with martini glasses as well. Surprise your guests with a unique and elegant strolling Napkin Dress. 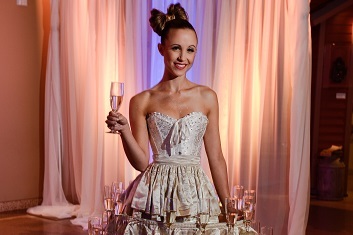 The dress features a stunning model who fashions removable, customized cocktail napkins. She accompanies passed appetizers or poses at the edge of a bar, prompting guests to pull a napkin from her dress. The Napkin Dress comes in two style options, Cocktail and Formal. This is a refreshing and one-of-a-kind way to serve your guests! 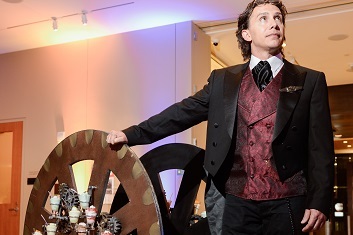 Incorporating a steampunk or wild west theme, this product catches the attention of your attendees as it strolls through the crowd with its rotating gears on display. The wheel is great for whiskey and beer samples, and also works well for appetizers and desserts. Do you remember when Tom Hanks asked for his wish to be granted in the film “Big”?! 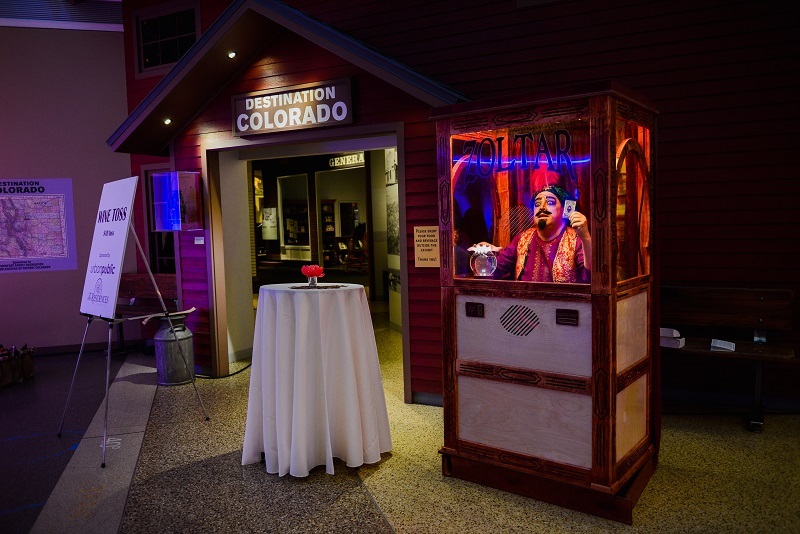 The Imprint Group can make your dreams come true all over again with our Zoltar Machine! 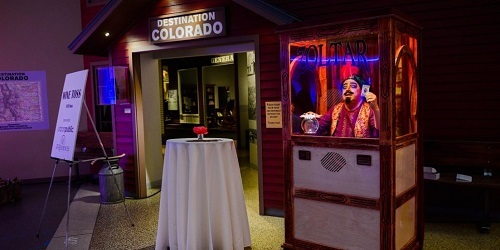 Our living Zoltar, and outstanding costumed actor, bring amazing interaction, energy and fun to guests at any event. Ask about customizing the fortune/message cards for your guests! We are bringing the nostalgia of classic games to you, with one minor difference: These games are OVERSIZED! 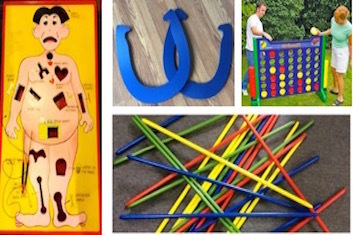 Check out our featured oversized games, and let them add some fun to your next event. 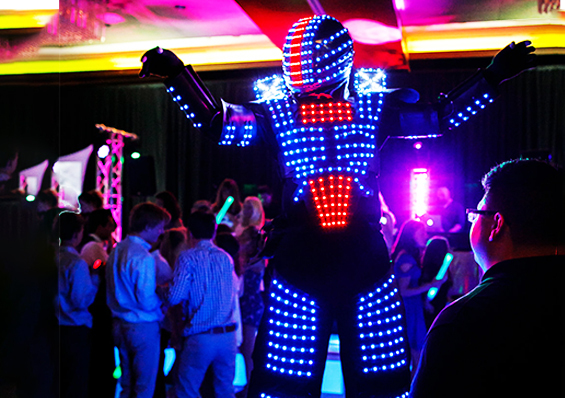 Our supersized LED Suits on stilts are eye catching and great for so many settings... door pop greeters or sign holders, general walk around atmosphere or ambiance on the dance floor or for added fun we can put our DJs or drummers in the suits.